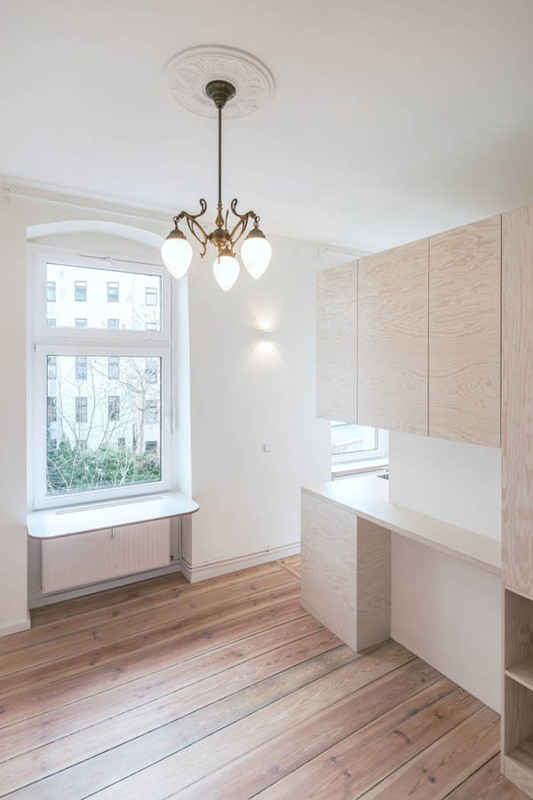 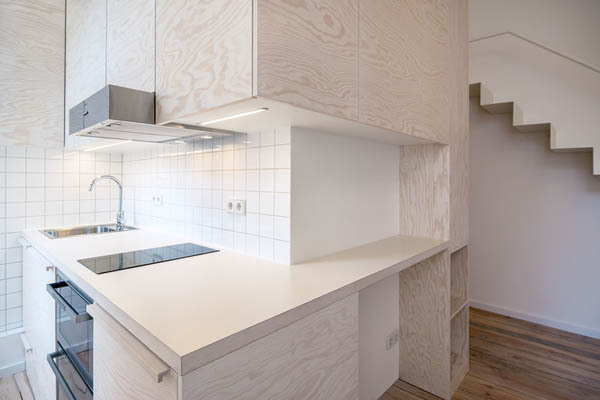 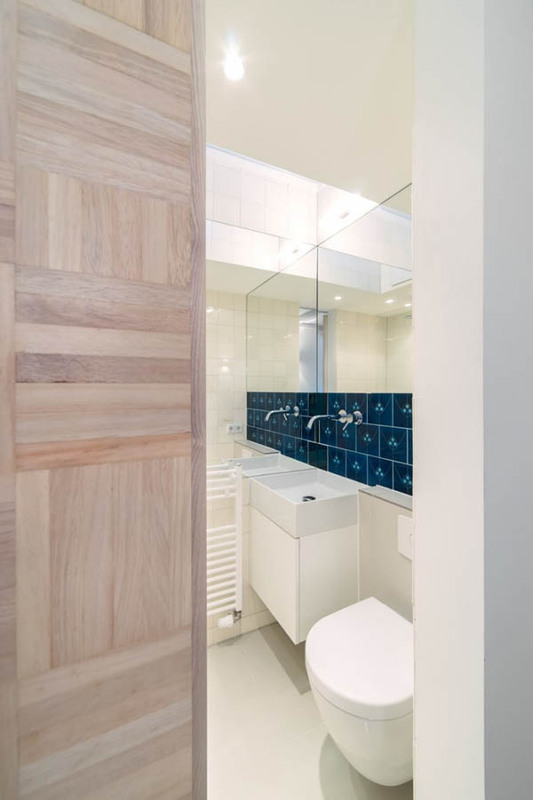 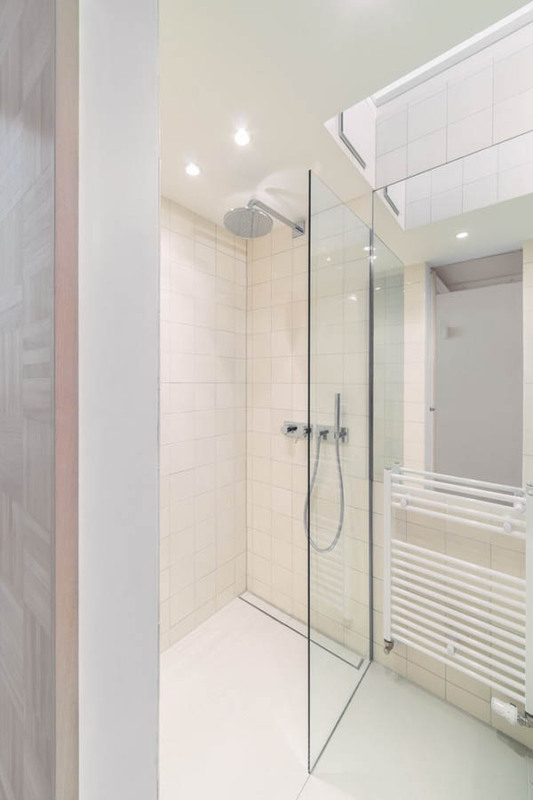 Situated in Berlin, this 21 square-meters micro-apartment was renovated by Spamroom from two tiny, separate rooms to a modern inhabitant – a comfortably proportioned living/sleeping area, a small, but fully equipped kitchen, with plenty of storage and modern conveniences, a compact bathroom complete with luxury rain-shower, large washbasin and WC. 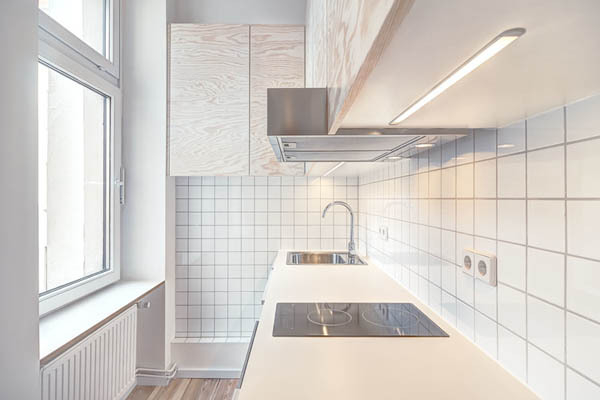 To achieve the goal, the whole original layout was eliminated and a main function block which would concentrate the kitchen, bathroom and storage space was set up. 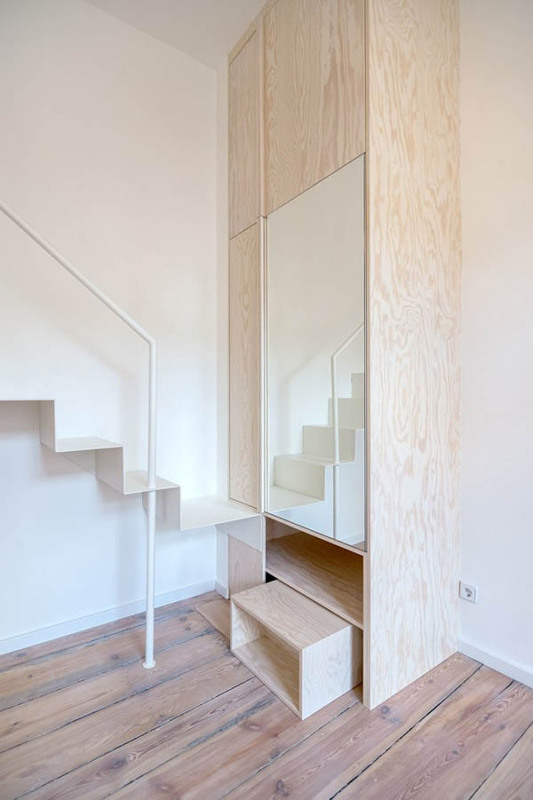 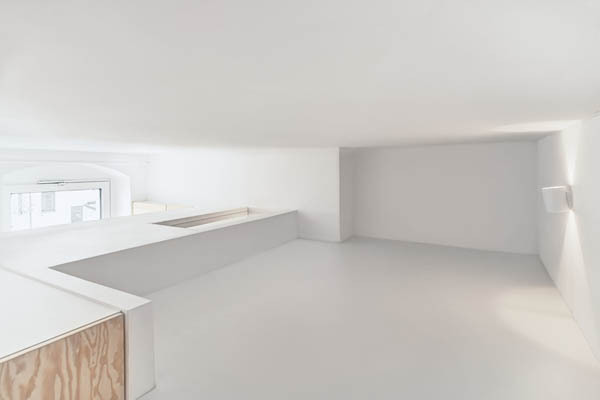 The minimalist height of the volume allowed extra space above the bathroom and hallway entrance, which becomes a comfortable sleeping entresol. 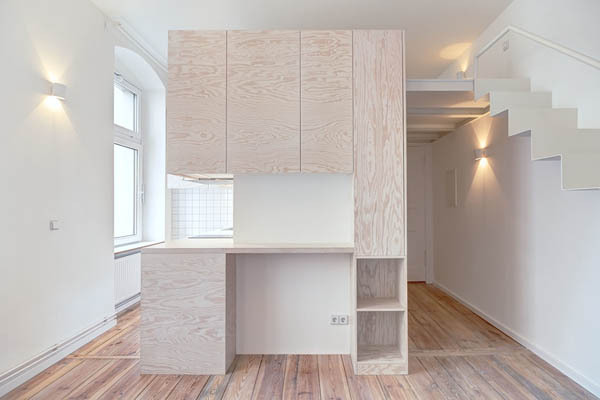 A window sill was extended for it to become a working desk with a view to the outside enclosure. 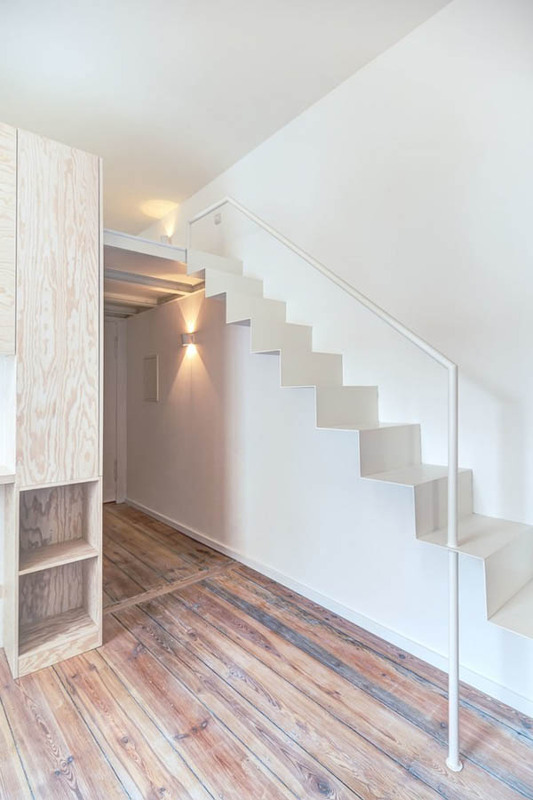 Another successful transformation for a small apartment.